Legal Language Services ranks Texas as a state with heavily regulated legal interpreting requirements. Your legal interpreter must have the appropriate level of classification that meets your language needs. This is especially true if you require a court interpreter. This does not mean, however, that you should hire a certified or licensed interpreter for every situation. Whether or not an interpreter is licensed or certified — let alone the level of classification— will have an effect on how much you are charged for legal interpreting services. Please be aware that some counties in Texas may have specific legal interpreting regulations in addition to the statewide requirements. Due to the added cost of certified and licensed professionals, it may not be a sound strategy to use certified or licensed legal interpreters if it is not legally required for your proceeding. In fact, some situations may not benefit from these interpreters. In particular, where subject matter expertise and/or special skills are required, certification and licensing may be a secondary consideration in securing a competent interpreter. As previously noted, non-certified or non-licensed legal interpreters can provide professional interpreting services at a more affordable price. As in other states, a certified or licensed interpreter will command a higher fee for legal interpreting services. Prices will be affected based on the level of classification. Legal Language can help you determine the best interpreter, certified, licensed or otherwise, for your legal interpreting needs in Texas. Texas state authorities periodically offer exams, both written and oral, for certification and licensure based on the guidelines of the Consortium for State Court Interpreter Certification. 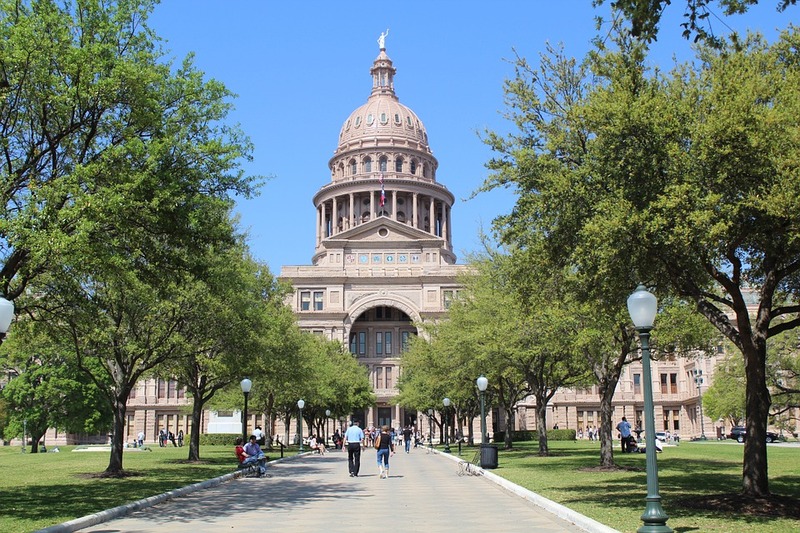 The state of Texas also offers federal court certification and accepts certification and licensure from NAJIT (National Association of Judiciary Interpreters and Translators). Master Court Interpreter: An interpreter who has completed a two-day orientation program, submitted to a criminal background check, passed a written examination, and achieved a score of 70% or higher on each part of the oral examination. This permits the interpreter to interpret court proceedings in all courts in this state, including justice courts and municipal courts. Basic Court Interpreter: An interpreter who has completed a two-day orientation program, submitted to a criminal background check, passed a written examination, and achieved a score of 60-69% on each part of the part oral examination. This permits the interpreter to interpret court proceedings in justice courts and municipal courts that are not municipal courts of record, other than a proceeding before the court in which the judge is acting as a magistrate. Not all venues in Texas require certified or licensed interpreters. For counties with a population under 50,000, a licensed or certified interpreter is not required. Please consult with Legal Language Services for the rules pertaining to your specific venue and language. According to a recent American Community Survey, approximately 34.20% of the Texas population speaks a language other than English. Other languages spoken in Texas include Kru/Ibo/Yoruba, Gujarathi, Telugu, Persian, Mandarin, Malayalam, Russian, Portuguese, Japanese, Bengali, Tamil, Laotian, Amharic, Italian, Thai, Mon-Khmer/Cambodian, Cantonese, Swahili and Polish. Call Legal Language Services at 1-800-788-0450 to find Texas interpreters who meet state interpreting rules for courtroom trials, hearings, depositions, arbitrations and other legal proceedings. The content provided on this page is for informational purposes only and should not be construed as legal advice. The information about legal interpreting guidelines in Texas is believed to be accurate at the time of posting; however, Legal Language Services is not responsible for any errors or omissions.